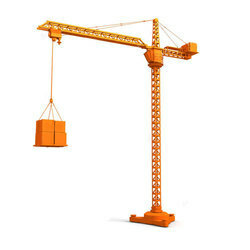 Pioneers in the industry, we offer concrete pump & tower hoist on rental service from India. Since our inception, we are instrumental in offering professionally managed Concrete Pump & Tower Hoist on Rental Service. The Concrete Pump & Tower Hoist on Rental are offered under the vigilance of skilled professionals in sync with industry norms. Furthermore, these rental services are highly praised in the market owing to its various quality features. Besides, clients can avail these rental services from us market leading prices.